Here at British Recycled Plastic, we pride ourselves on helping to keep waste plastic out of landfill because as everyone knows, it takes forever to break down. 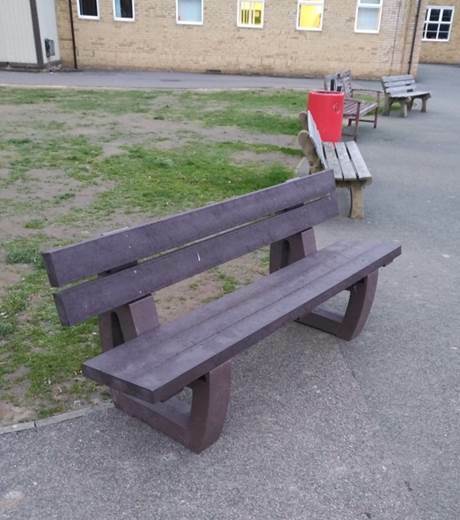 However when it’s recycled into something useful, this characteristic becomes a real strength, as Dartford Grammar School discovered this past month when they came to replace their old concrete and wooden benches with recycled plastic. 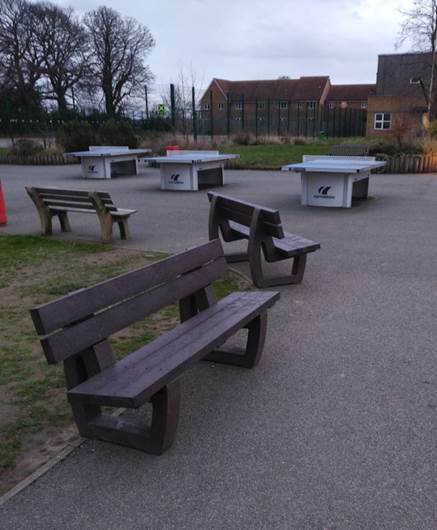 Dartford Grammar’s new benches should last many times longer than the old concrete-and-wood ones which can be seen in the background. To tell the truth, no one’s really sure how long our recycled plastic furniture will actually last in the British climate, but one thing’s for sure; it’s a good while. The current government definition of a ‘lifetime’ is twenty-five years, and so we’re confident they’ll ‘last a lifetime’. Recycling plastic is still a very new technology and so of course none of our customers’ furniture has yet come close to wearing out due to the weather. The best guess around our office is that something as sturdy as the Harewood bench has every chance of lasting a century, and possibly many times that. That sounds scary when you’re talking about plastic in landfill, but one of the great points of our furniture is that once it does eventually reach the end of its life it can all be recycled again. 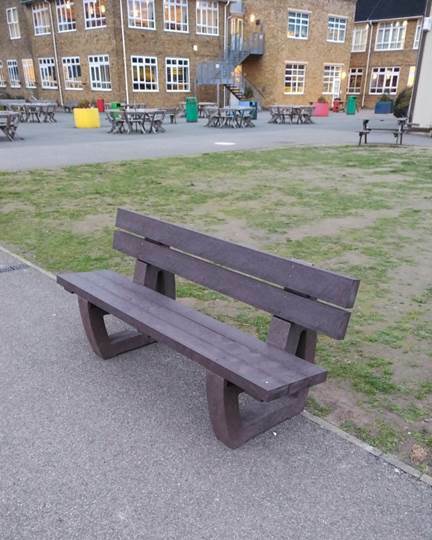 We hope that Dartford Grammar’s pupils enjoy their new Harewood benches – if their shiny new furniture has given you some ideas of what you would do with some recycled plastic benches, you can find our complete price and product list here. Do drop us a line if we can help you with something.